A condom that combines thinness with a dual texture design. Kimono Textured features row after row of raised Sensi-Dots and ribs. 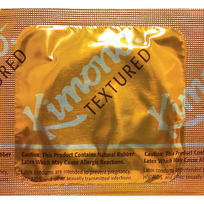 This extra texturing on an exceptionally thin condom adds new tingling and exciting feelings for both partners.